Colorado law requires that Homeowner Associations disclose certain information to property owners. The full inventory of documents subject to disclosure is maintained on the Westwind Management web site. The Westwind site is separate from Pineycreek.org and you must use your account number specific to each Association to logon to the Westwind site. You may find your account number on your assessment coupons or by calling Westwind Management at 303-369-1800. In addition to the disclosure documents the Westwind site provides access to your account information including payment information. You will need to register for each association individually for which you are a member - Maintenance, Recreational, Village filing 7. Each Association has a respective account number in which to access your account information. Articles of Incorporation of Piney Creek Maintenance Association, Inc. Bylaws of Piney Creek Maintenance Association, Inc. Articles of Incorporation of Piney Creek Recreational Association, Inc. Bylaws of Piney Creek Recreational Association, Inc. Articles of Incorporation of Piney Creek Homeowners Association, Inc. 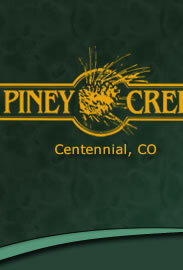 The copies of the Declaration of Covenants, Conditions, and Restrictions of Piney Creek Maintenance Association, Inc., the Declaration of Covenants, Conditions, and Restrictions of Piney Creek Recreational Association, Inc., and the Protective Covenants for each neighborhood filing within Piney Creek are provided for convenience only. No reliance should be placed on the reprint of these documents on this Internet site. The actual recorded documents can be found at the office of the Clerk & Recorder for Arapahoe County located at 5334 S. Prince St., Littleton, CO 80120.